I often use scroll bars in an Excel dashboard, which gives a user the freedom to change its values and play with the data. If you have multiple scroll bars in your dashboards, it is helpful to display the current value of each scroll bar. 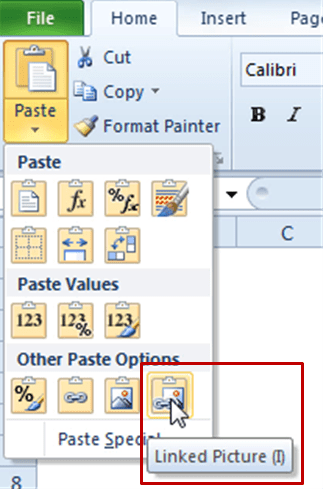 The idea is to display the value right next to the Excel scroll bar, rather than having it somewhere in the back-end. This way the user can play with the data more effectively. Create an Excel scroll bar [Learn how to create an Excel scroll bar]. Format the linked cell to display the desired format. In this case, I have formatted the cells to show a number as a percentage (1 as 1%, 2 as 2%…). Go to the cell that is linked to the scroll bar and hit Control + C (copy). Go to Home –> Clipboard –> Paste –> Linked Picture. This will create an image of the cell. This image will update itself when the value in the cell changes. Position the Image just above the scroll bar. Repeat Step 3 to 6 for every scroll bar linked cell. That’s it!! You will have a dynamic label for your excel scroll bar. Using Scroll Bar in Dynamic Charts. Creating Drop Down list with Search Suggestion in Excel. Creating Dynamic Filter in Excel. 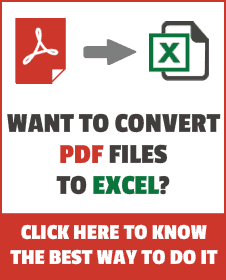 Inserting and Using Checkboxes in Excel. How did you format the linked cell to show a percentage? When i attempt to do this my percentages begin at 100%, 200%, 300% etc.